However, The Final Girls, gets everything right. It’s not trying to be Scream, and by doing so, it carves its very own place in the meta-horror genre. 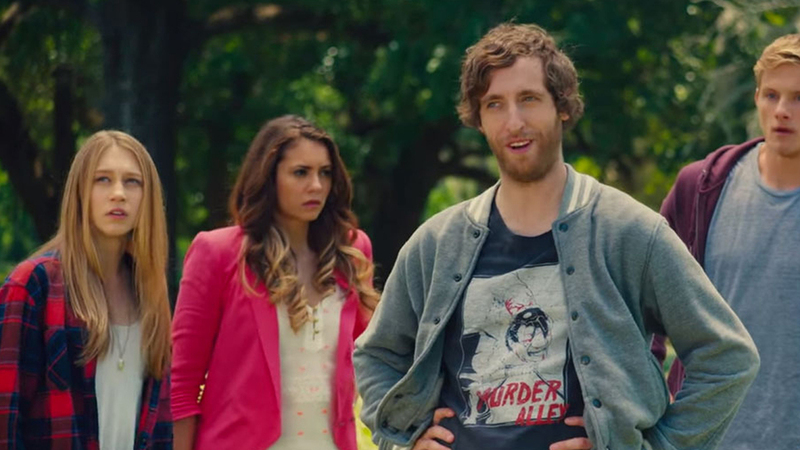 This is the hilarious, witty, satirical slasher we’ve been waiting for. And if you’re a slasher nerd like me, you’ll be giddy over all the references and bits of random horror geekdom. But if you’re not, don’t get scared, this film is 100% comedy. It manages to deliver serious laughs without stooping to the level of Scary Movie. With side-splitting one-liners and hot chicks like Nina Dobrev (Vampire Diaries), this slasher has something for everyone. In a movie called, The Final Girls, modeled after Friday the 13th (a slasher with no Final Girls), the character named The Final Girl … probably doesn’t survive. Following the meta-rules of Scream, anyone with a title synonymous with survivor, isn’t going to make it. And true to the rules, Paula, The Final Girl dies a gruesome death.